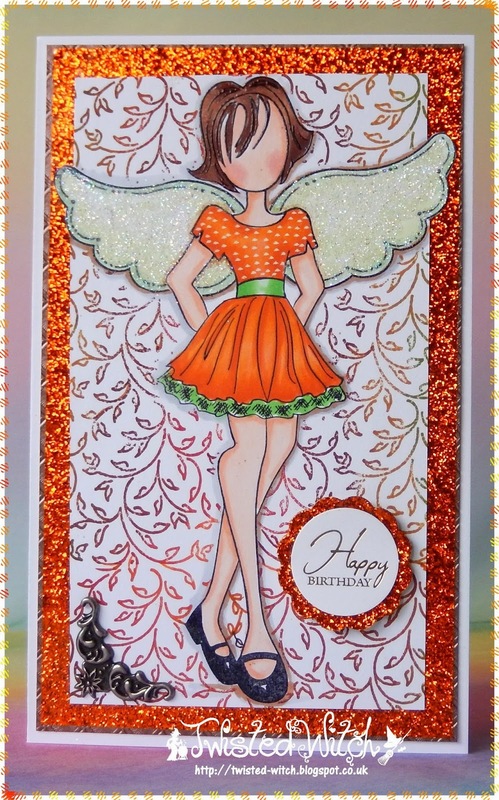 Julie is hosting today and wants to see you combine (merge) two or more stamps in your creation. You might do this digitally or go down the traditional masking route. This is a challenge to merge two or more stamps together, please do not just stamp two times with different stamps, they need to be merged so that they appear as one stamp! We expect you to mask either with paper, masking fluid or digitally. Could you please TELL US what stamps you have combined (merged) and how. 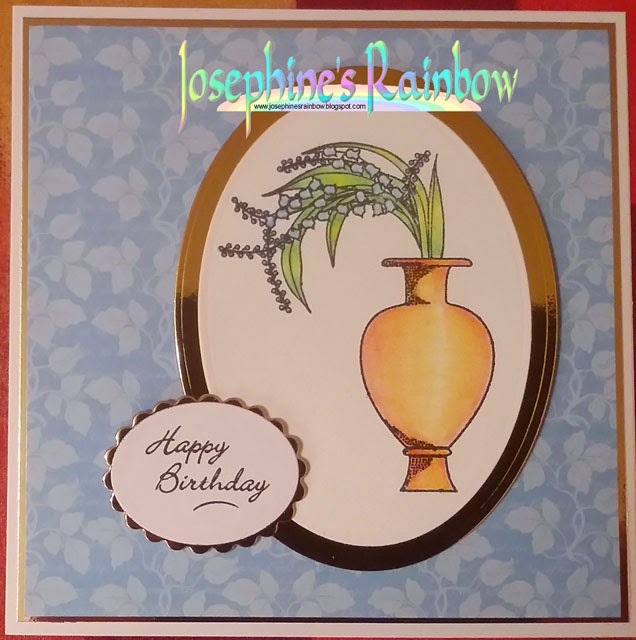 For this challenge, I've used two Clarity stamps - the flowers and the vase. The resulting image was coloured with Spectrum Noir pencils. I intended to embellish with some flowers, but when I assembled it, I liked the clean lines so I decided to leave it with just an added sentiment. For my card I have used 2 Tiddly Ink images the little girl is called Sunshine Anabelle, I have merged her with 2 sets of Emma's flowers, then added a sentiment using my MCS programme, the image has been coloured with both Graph It Markers and Copics, the papers are from the DoveCraft Sweet Paris Collection I then added some flowers and punched butterflies. I have used four different stamps to create my 3D focal image. A birdcage, a bird, a clock and some roses. I combined layering and masking to build a spring garden full of colour and dimension! 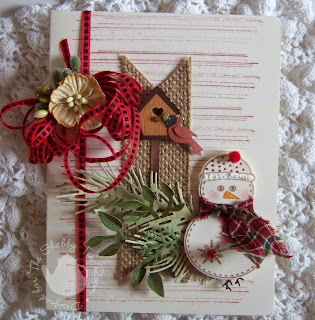 For this challenge I have used an old Stampin' Up! set that I had never inked up. I added the hearts to the bicycle basket and the balloons on the back. I coloured all with Copics. 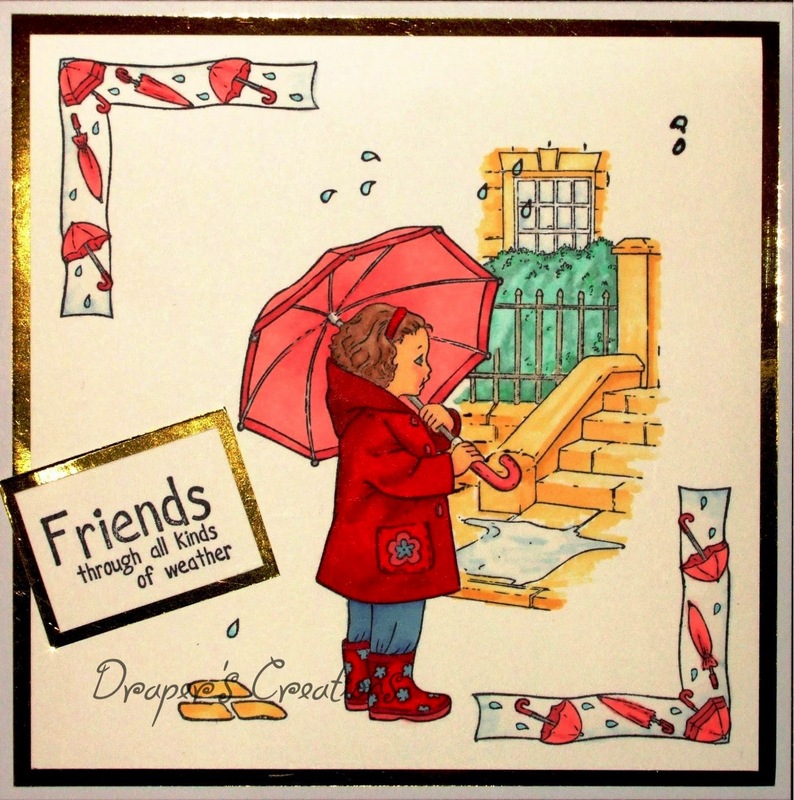 I have used stamps from Jayne Nestorenko's Adorable summer collection called 'April showers'. I began by stamping the little girl with her umbrella. I then masked this and stamped the steps behind her. 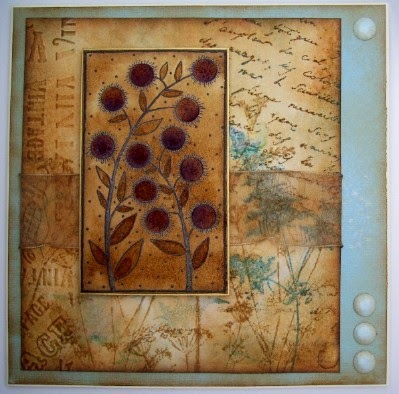 Using one of the little stamps in the set I stamped the cobbles and raindrop. I then used the corner stamp twice. I coloured the design using Promarkers. I have used Stampendous Stamps Jumbo Forest Friends. I began by stamping the Deer. 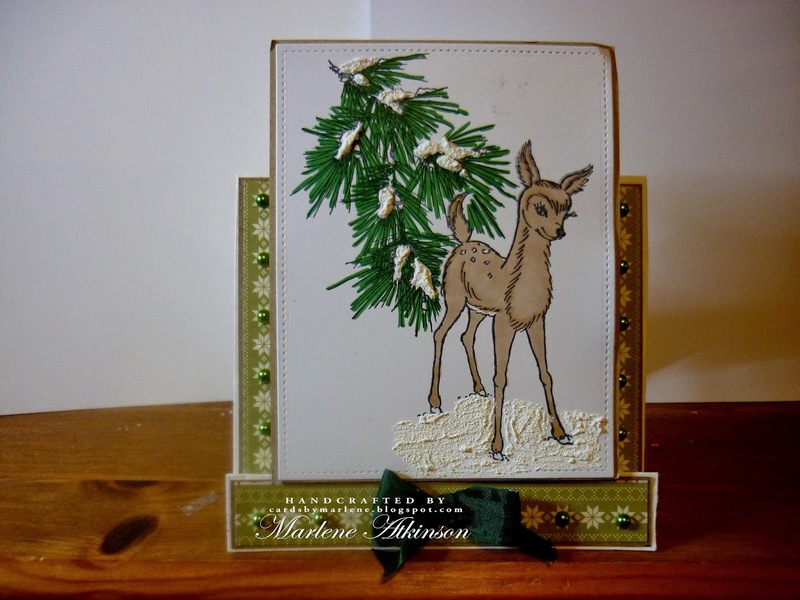 I masked this and stamped the Pine Needles Behind the Deer. I coloured the design with Promarkers. 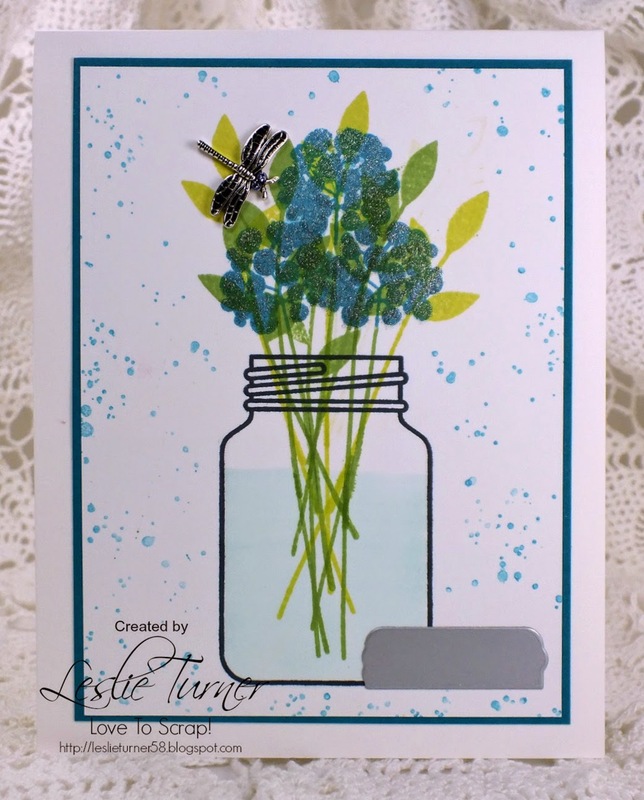 I used the Paper Smooches Crystal Clear stamp set with coordinating dies for my Ball jar of posies with lid. 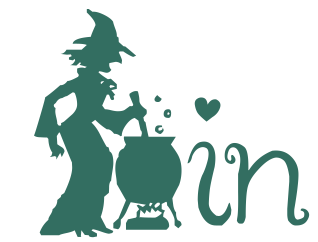 I used one of the stamps from the Stampin' Up! 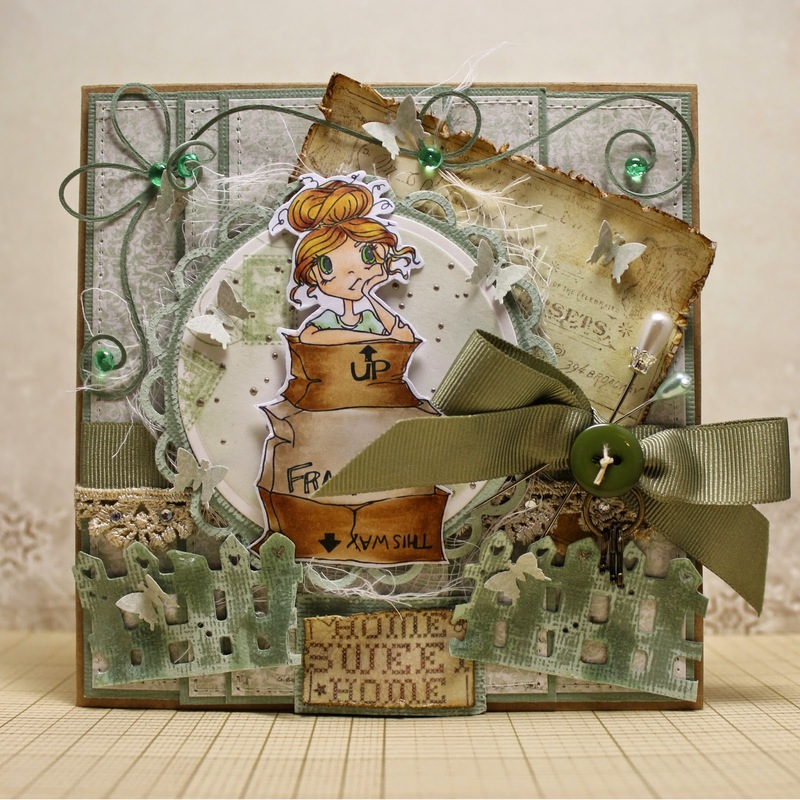 Gorgeous Grunge stamp set for the background, stamped off once, with the jar, lid and flowers loosely masked. I finished the front panel with a gorgeous EK Success Swarovski Elements dragonfly charm. 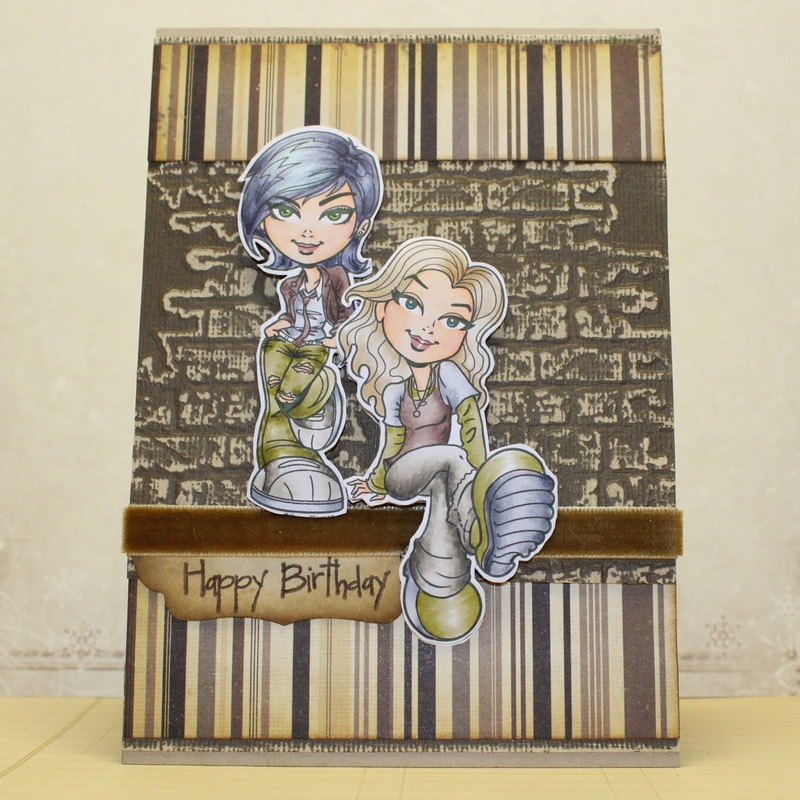 I have used two rather old, but rather lovely Hero Arts stamps and plenty of masking for my card. I have used some old stamps from Creative Expressions and Sticky Notes to mask my images, then coloured the scene with Copic Markers. Welcome to our first post of 2015. Before we get down to the theme, I would like to announce the new team members from our recent DT call. Thank you to all who applied, sorry if I didn't have space for all of you. 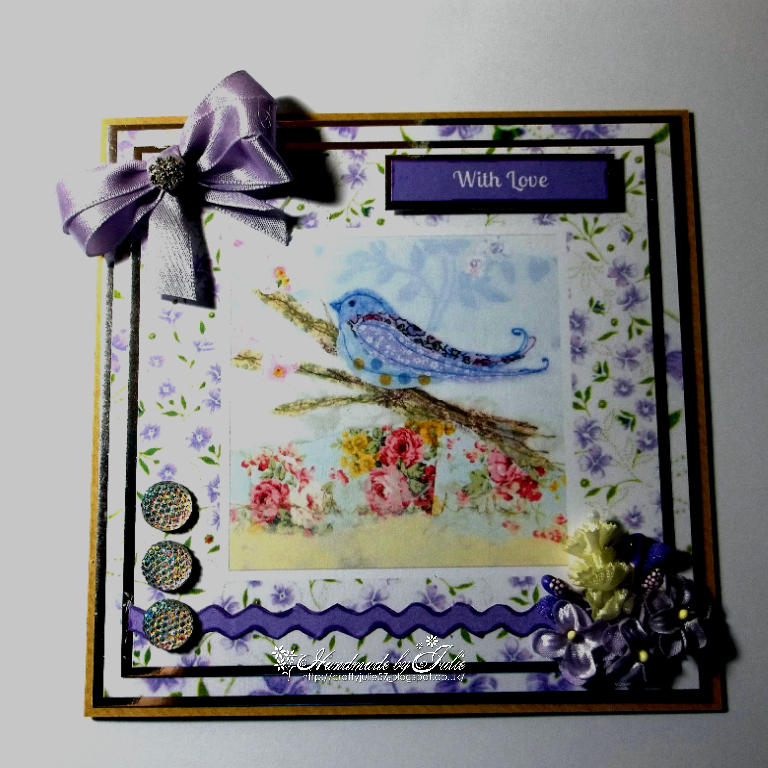 I started crafting approx 10 years ago when I was on long term sick leave from work, once I was retired early craft became my life line, I started off with decoupage but quickly moved onto rubber stamping and now digital images, I have an abundance of both. 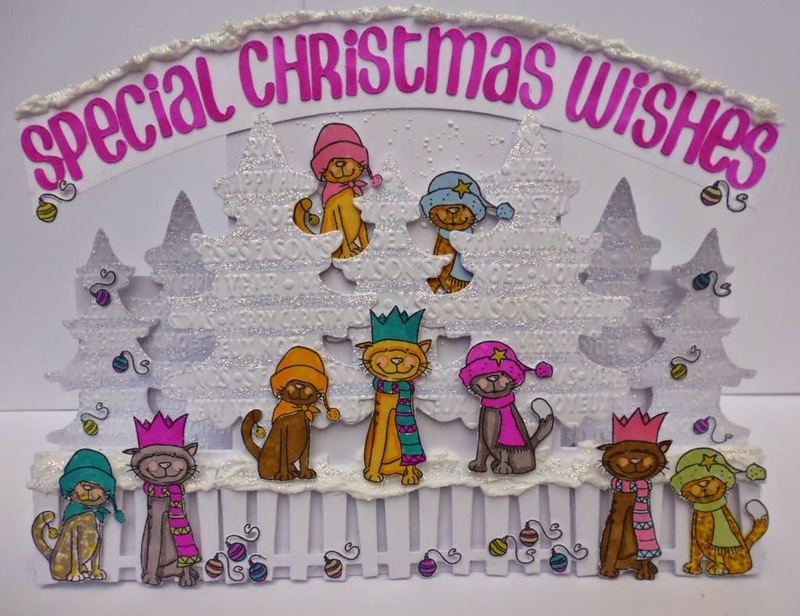 I love to colour and create cards for both friends and family. 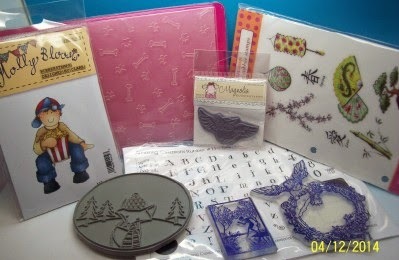 I have made so many crafting friends through my blog and entering craft challenges of different kinds. I have been honoured and blessed to have worked on many DT over the years which has added to my confidence and creativity. 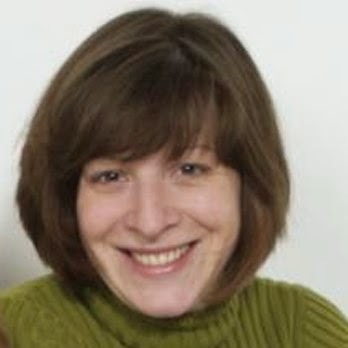 I am happily married to David and Grandma to three boys. 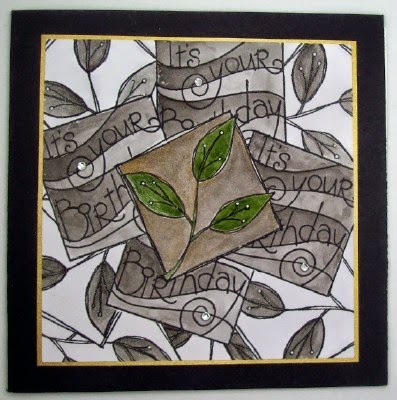 I started card making in January, 2010 when my husband was diagnosed with Lung Cancer. This was an awful time for us. He has fully recovered and is back to work full time. 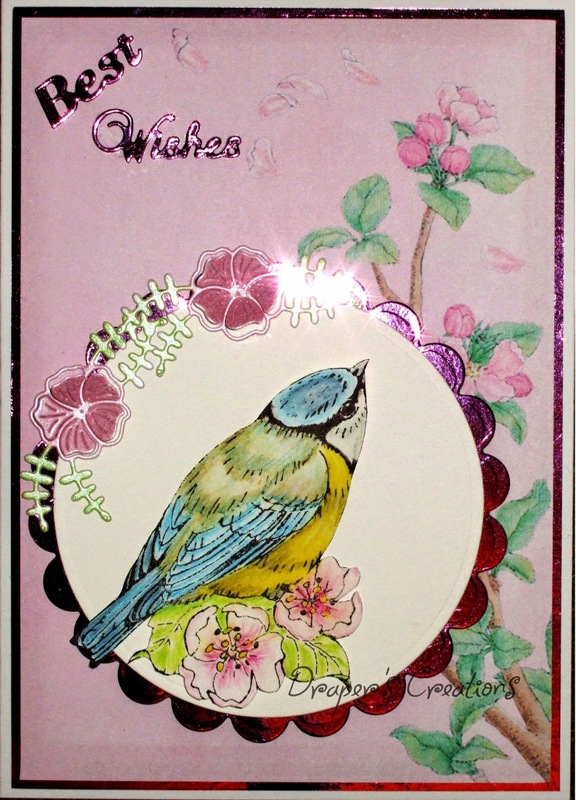 Card making has helped me to keep sane and helped me to relax. Since then I have become addicted to making cards. 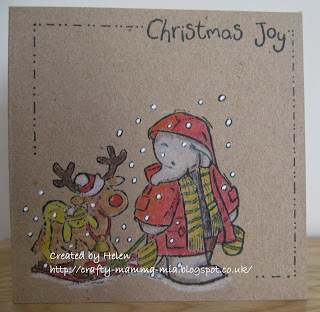 I enjoy using stamped images and digi stamps, which I love to colour. My interests are card making, reading, walking and cycling. I am a former mathematics teacher who has always been interested in craftwork of one form or another. Since retiring four years ago I started making cards for family, friends (mainly those of my 19 year old daughter!) and neighbours. 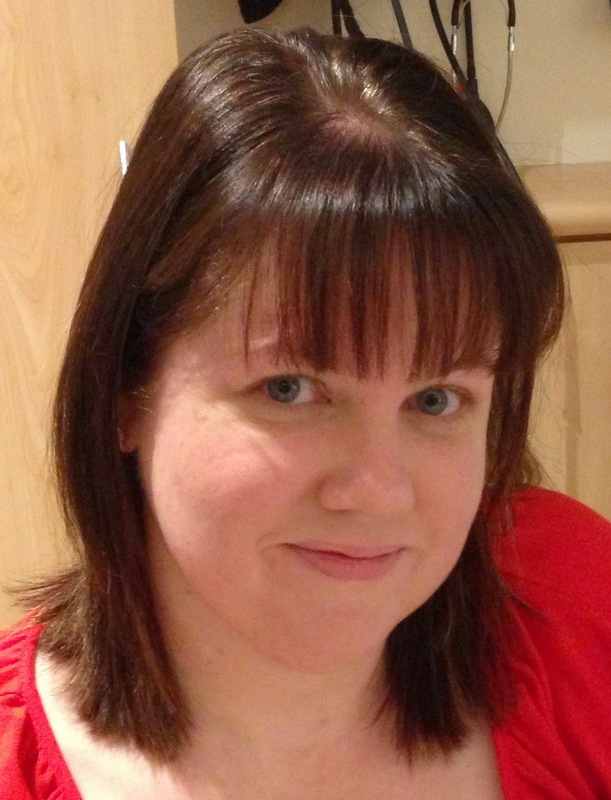 Eighteen months ago I started my own blog. Hi my name is Rebecca and I live in Melbourne, Victoria in Australia. I am a busy mum of 5 and also work part time but in my spare time I love to play with paper! 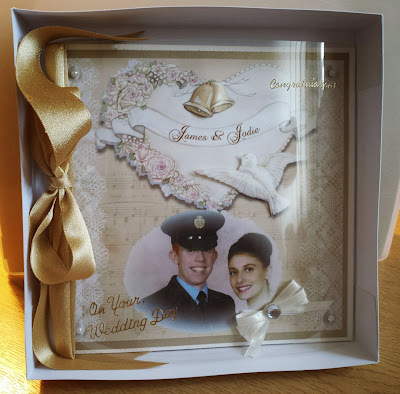 I have been crafting for about 8 years and have also previously worked and taught in a scrapbooking store. As you can imagine my stash is rather huge because of that! My main love is cardmaking but I also like to do Project Life. I look forward to sharing my creations with you and seeing all your amazing works. Hi, I'm Sue and I have been making cards for about 7 years or so now. I really got into it when I discovered copics about four years ago, and got totally hooked! I am now the owner of a huge paper collection, and more images and dies than is probably healthy! 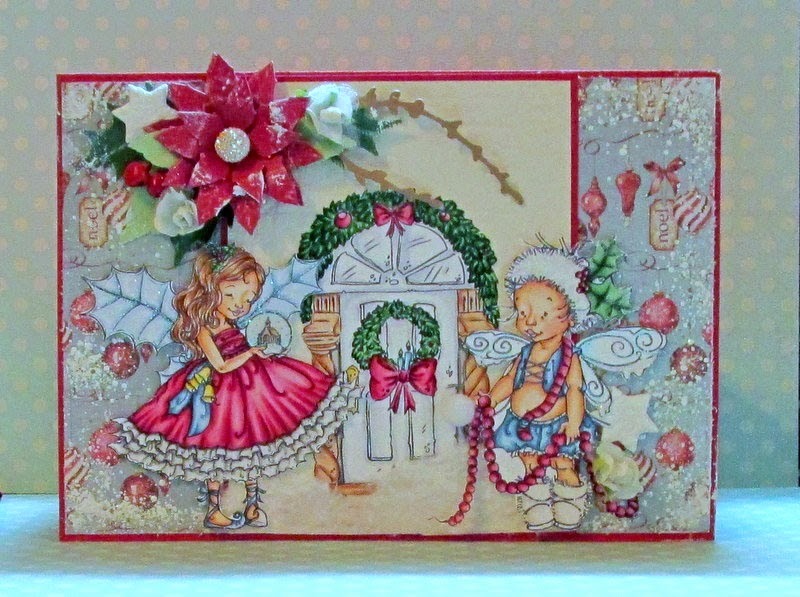 I tend to make quite busy cards with lots of detail, but love more simple designs too. I'm the mum of two boys (12 and 7) and work as a planner for a manufacturing company, and my creative time is my way of relaxing after a busy day. 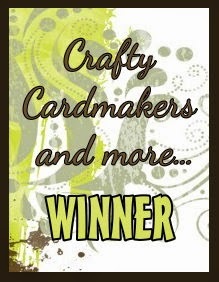 I'm very excited to join the Crafty Cardmakers DT and am looking forward to lots of new challenges along the way. I'm sure the girls would be thrilled if you stopped by their blogs and said hello! So down to business, as we have just said goodbye to 2014,and 2015 is in it's infancy, our hostess, Leslie, would like to see your creations incorporating something old and something new. This could be old stash and new stash combined, or perhaps an old technique and a new one. 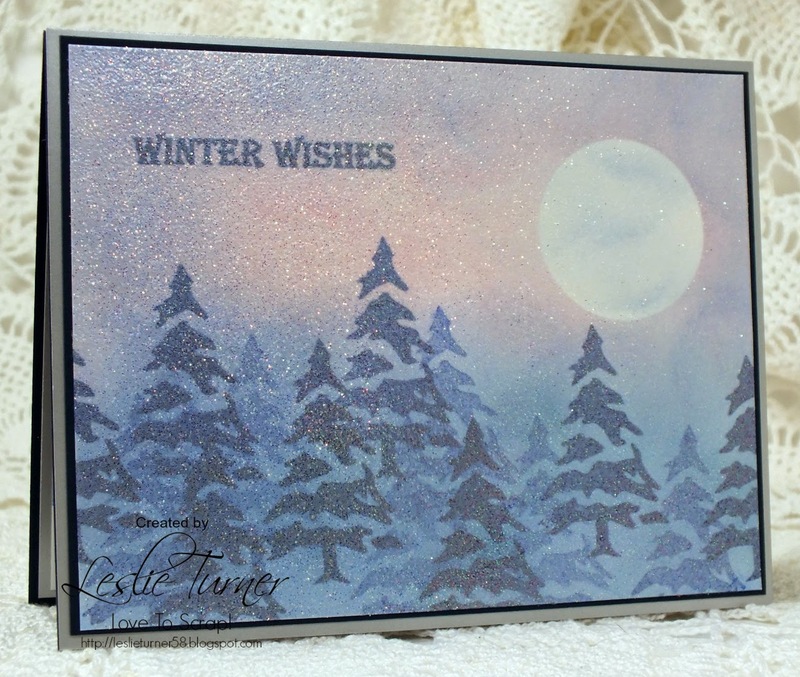 I created a wintery snowy forest for my Winter Wishes Note Card. In addition to my old stash of cardstock, winter tree stamp and inks, I used old techniques of inking, masking and 1st/2nd generation stamping. 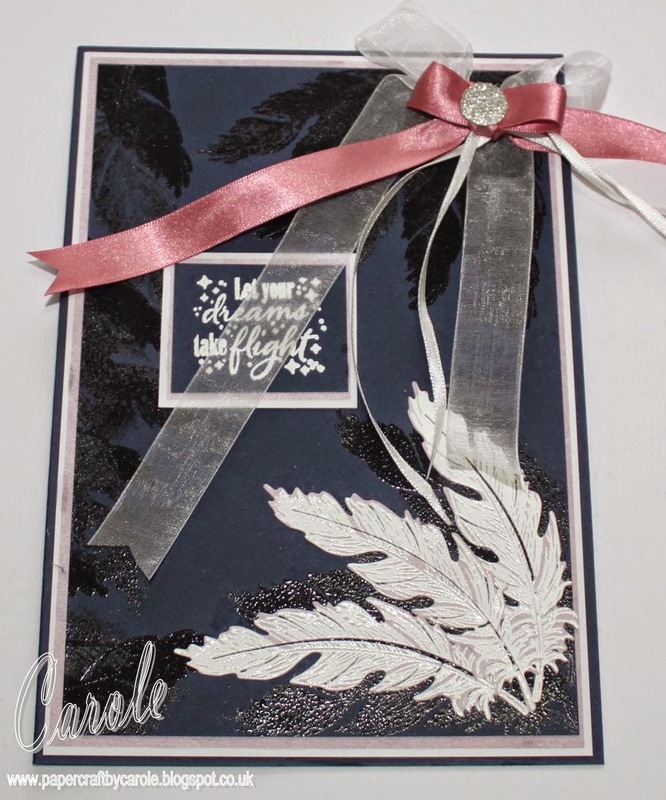 I used a relatively new sentiment stamp along with a new technique of embossing the entire front panel with glittery embossing powder to create the look of shimmering snow in the moonlight. I decided to start my stash of Christmas cards for next year a little bit early! 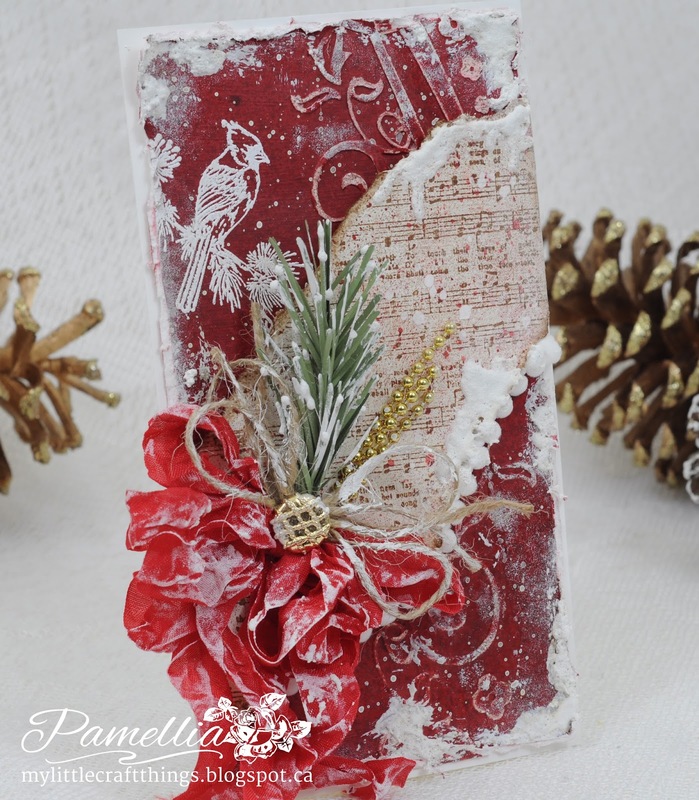 For my OLD, I used an old Artistic Outpost stamp set and an old Cheery Lynn die to make my pine branch. 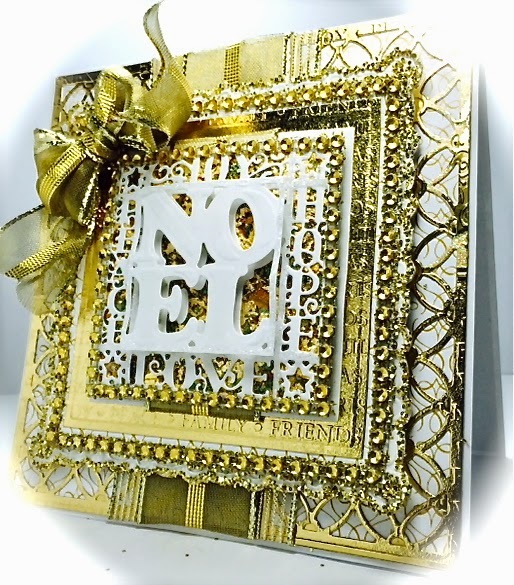 For my NEW, I used a new gold button from a mixed bag I got for Christmas, a new Darice embossing folder and a new adhesive sealer to protect the painted background. Hope you enjoy and HAPPY NEW YEAR TO ALL!! 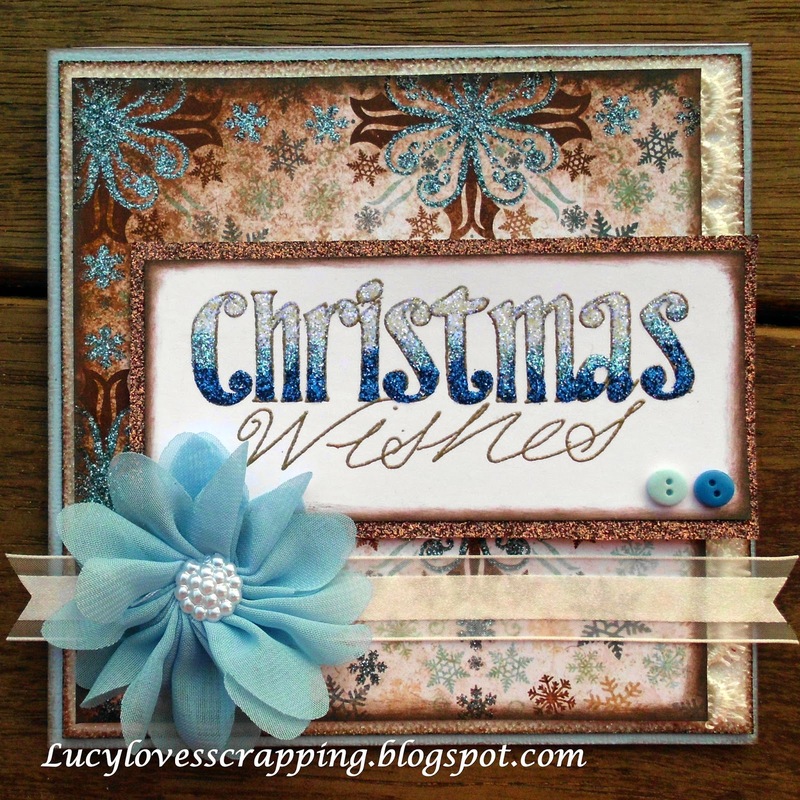 I made an A5 card with my NEW items - HOTP feather stamps and die (free with magazines), Darice Seafoam White Embossing Powder and my Bow Maker. 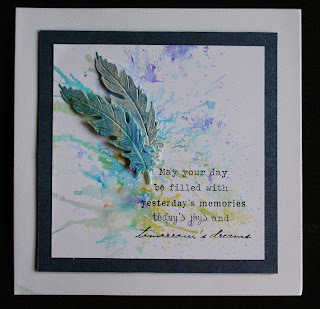 My OLD items are the Versamark Dazzle Ink Pad I stamped the feathers with, and the Heat It Up Clear Embossing Powder. 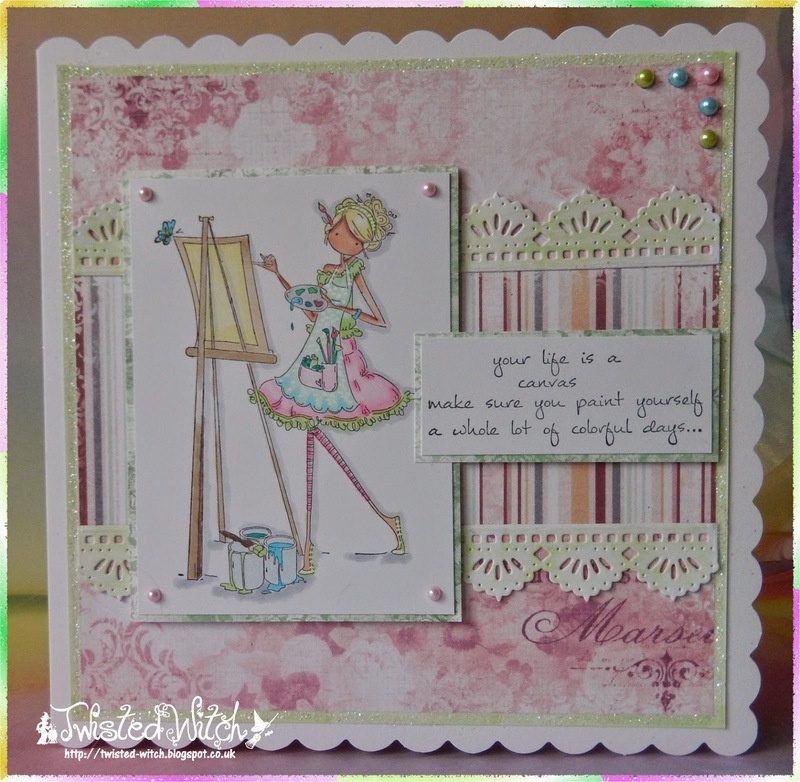 My something old is my pearls, which I have had for a couple of years now and my something new is the lovely Stamping Bella Abigail the Artist stamp. Please see my blog for details. I used an old stamp which I coloured using new water colour pencils. 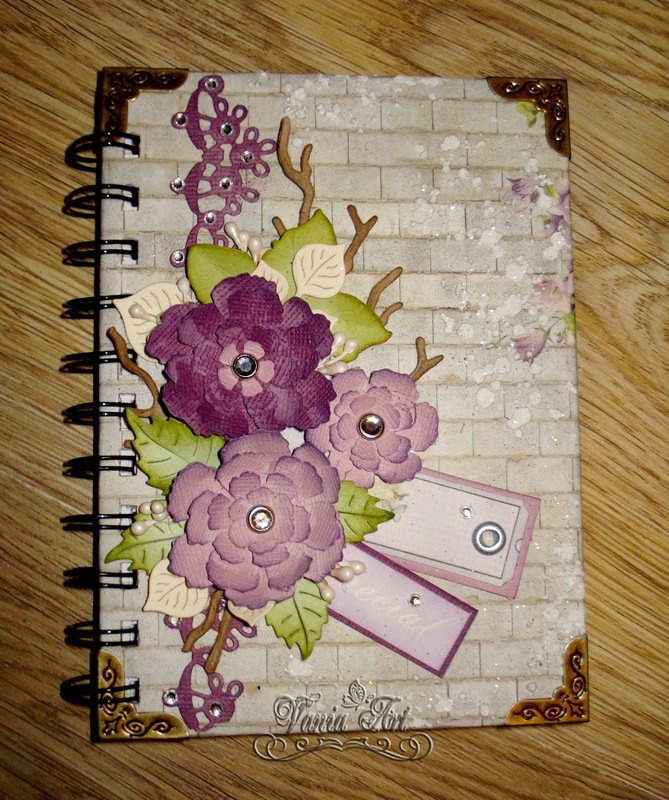 The circular dies I used were also old but the floral pieces on the edge were die cut using new Tattered Lace dies. I inked up this stamp finally I've had for a while but never used so that is my new. Everything else is an assortment from my stash to make up the old. I've got some old, new and in between techniques here! 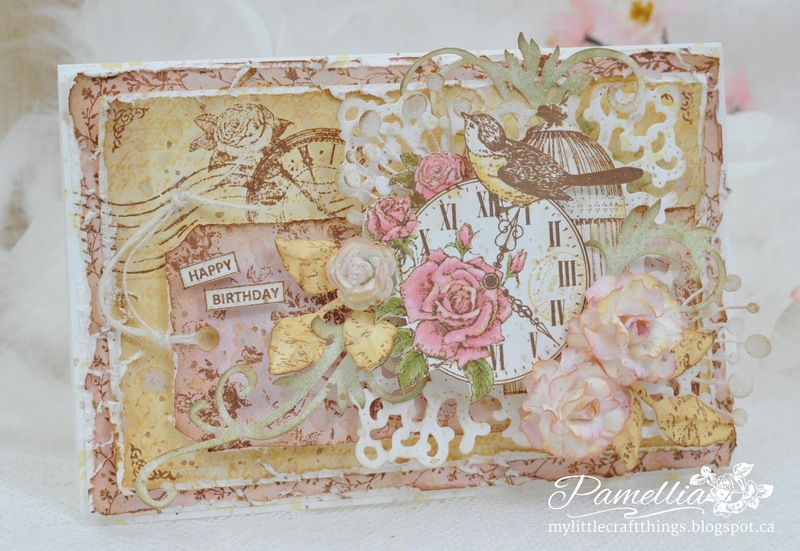 The old is rubber stamping - one of the first things I tried when I got into papercrafting. 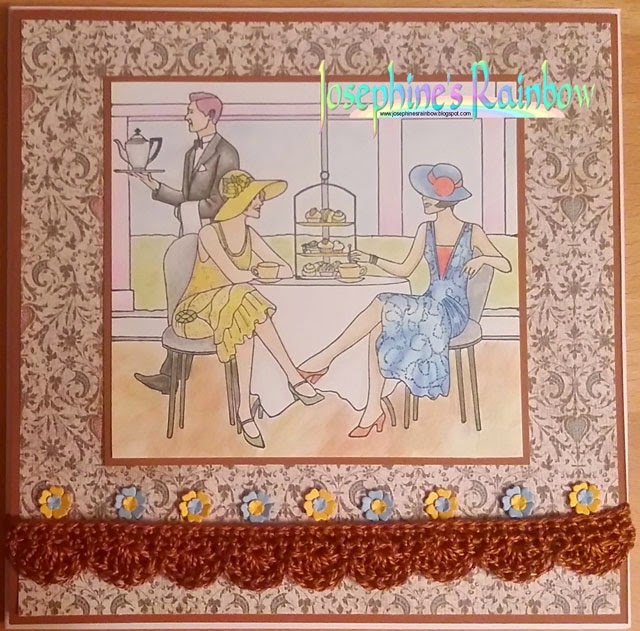 The 'in between' is colouring with pencils, and the new is the crochet border. I'm still limited to very simple crochet, but I'm going to keep practising! 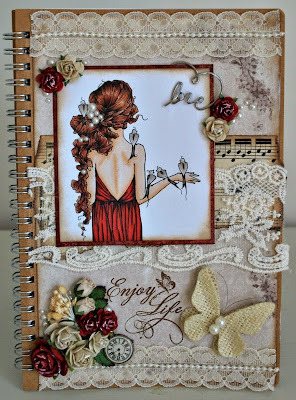 For my new elements I have used a new digi stamp and set of papers. For my old elements I have used some old, almost dried up paper clay to make the flowers and some lace and gems from my stash. My old element was the style/design of the card, and the items I used from my serif digi kit that I have had for some time. The new element was the luscious gold ribbon I just bought in a sale. For my card I have used one of my new Ching-Chou Kuik Digi Images, also the red doily and sentiment, the rest of my elements have been in my stash for quite some time. For my card I have used a very old technique, spritzing and painting with tea and coffee, some old Artemio stamps and a brand new stamp from Woodware designed by my good friend Jane Gill. Details and more samples on my blog. For my card I used a good mix of old and new stash, the papers are new, as is the bunch of keys charm, the lace and the cream pin. The ticket behind the image is technically old, but it seemed remarkably clean, so have a suspicion it has never been used before! The rest of the items are from my stash! We hope we have inspired you and look forward to visiting your blogs. #129 Christmas Winners and Top 10! Claire's colouring with Pan Pastels is simply amazing! I'm actually a dog person, but these fabulous cats had me smiling for ages! Would the winners please contact me at the address in the sidebar stating the number of the challenge, the title of the challenge and which prize they have won in the subject line. As they are both physical prizes, please provide your full names and addresses. You have until 24th January to claim your prizes.